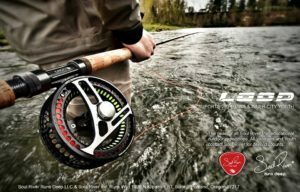 The Inspiring Story Of Soul River Inc., Fly Fishing And Chad Brown! Life has its ways of teaching us how beautiful it is to be alive. In today’s publication, we are going to talk about the story of one such example by informing you about Chad Brown, the founder of Soul River Inc. and Soul River Runs Deep. You see, Chad has had his fair share of struggles, namely with PTSD (Posttraumatic Stress Disorder) which nearly killed him. But, like the truly inspirational among us, Chad found a way to turn adversity to strength by becoming a powerful supporter of people and the natural environment. Chad, a decorated veteran from the U.S. Navy and who served in the Desert Storm Gulf War and Operation Restore Hope in Somalia, is a popular figure in and around Oregon. 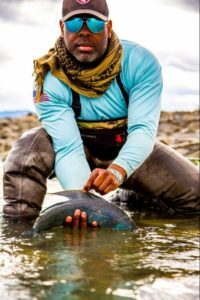 But his popularity is not only because he has served his country, rather, it is because of his ability to have turned his struggles with PTSD, into a passion that serves the well-being of others – fly fishing. This is where our story begins. The above quote is the precise description of what gave birth to a passion for life – fly fishing – which Chad fulfilled by founding Soul River Inc. This nonprofit was created with the aim of sharing the healing power of nature with others, especially with military veterans and youth. How? 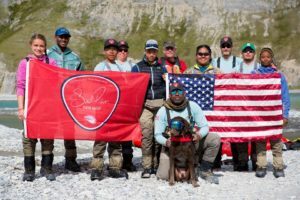 Soul River Inc. facilitates fly fishing journeys to locations not only in Oregon, but also to Alaska, and, more specifically, the Arctic National Wildlife Refuge. The purpose is to connect military vets and youth to the healing powers of pristine natural surroundings and to promote conservation. Chad’s efforts have been recognized by BBC’s international radio and the National Wildlife Refuge. 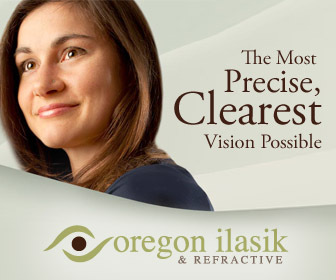 He has also been featured in various national publications, some of which include more prominent ones like The Drake, Outside Magazine and various other publications from the Pacific Northwest. Pretty impressive, right? Well, there’s more. Chad was the first recipient of Orvis’s Breaking Barriers Award, as well as the Bending Toward Justice Award from Oregon Senator Jeff Merkley. To get a fantastic visual story of Soul River Inc., and its mission, be sure to check out the following video. Apart from being the Founder and President of Soul River Inc. Chad is a proficient designer with an MS in Communication Design. Combining his passion for designing and love for fly fishing, Chad also established Soul River Runs Deep. With the aim of reaching a younger demographic, this is apparel brand is proudly one of the first outdoor design companies purely inspired by fly fishing. Chad’s motive behind launching this brand was to make people aware about the real healing powers that reside in nature, as well as to promote environmental advocacy and conservation. This is the reason that 15% of all the profits made by Soul River Runs Deep are contributed towards Soul River Inc. – the nonprofit. To check out Soul River Runs Deep’s merchandise, and maybe even make some purchases, click here. After having been through so much in life, Chad found his healing in the lap of nature. And, with his learning he is working towards making others realize the same, which makes Chad truly inspiring and a person worth admiring. If you would like to donate to Soul River Inc., you may do so via PayPal. You can also purchase a variety of patches to show your support. All in all, Chad’s story and the work of Soul River Inc. and Soul River Suns Deep are a powerful testament to how anyone can turn adversity into something incredibly positive. Life is short, after all, so why not use some of your passions to serve the greater good? It is possible. We only need to have the will. Thank you, Chad, for this powerful reminder! Enjoy Your Summertime In Snow - At Mt. Hood and Timberline Lodge!